The Israeli real estate market will explode upon the coming of the Messiah, so buyers should invest now, as the Messiah could arrive “literally at any moment”, advised a prominent rabbi recently. “When the Messiah comes, the land will be enormously valuable, “ said Rabbi Yitzchak Zilbershtein, adding that in the Messianic period, common stones will gain wondrous qualities making them more precious than gold. The suggestion came as a result of a question posed by a man who had inherited a parcel of vacant land in Israel and wanted a rabbinic legal ruling on what he should do with it, as the rocky plot was difficult to access for commercial or domestic use and, in its current state, was essentially useless. Rabbi Zilbershtein, a well-respected religious scholar in Bnei Barak, responded that the inheritor should not sell the land. 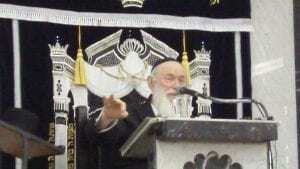 The rabbi quoted his brother-in-law, the esteemed Rabbi Chaim Kanievsky, who has said that the Messiah is expected to arrive “literally at any moment”. Though the land seemed worthless now, the rabbi assured the owner that very soon it would jump in value and be worth many times its current market price. He quoted a midrash (homiletic teaching on the Bible) which stated that every single stone in the Land of Israel has a specific mystical attribute to be revealed in the end of days. The rabbi said that some stones will bring peace and others will heal wounds or have other wondrous medicinal properties. One stone called ‘carneola’ is alleged to ease tooth pain and stop bleeding. Another stone called ‘shamir’ is enormously strong and can break other stones. Yet another heals kidney stones. Another stone called ‘achlama’ will improve the eyesight of the elderly. 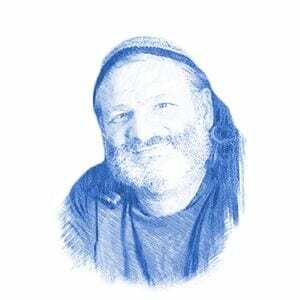 Rabbi Kanievsky, one of the most prominent rabbis of the generation, has shocked many with several uncharacteristic declarations over the past two years that the Messiah would arrive very soon. He has never made such declarations before in his long and illustrious career. Rabbi Zilbershtein’s financial advice is sound. Real estate investor Guy Amit has built his company, Tova HaAretz (the good of the land), on the belief that the holiness of the land and God’s promise concerning are worthy investments.